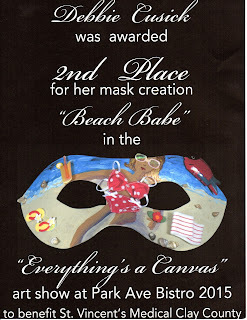 Thanks to judge Tony Walsh for awarding "Beach Babe" Second Place at the "Everything's a Canvas"art show currently hanging at the Park Avenue Bistro in Fleming Island, FL. This is a show of original art masks created by members of the Art Guild of Orange Park (and friends) for the charity Masquerade Ball to benefit St. Vincent's Hospital in Middleburg, coming up this October at the Club Continental. If you would like to see all the masks you can find them at: http://corksandforksclay.com/one-of-a-kind-masks/. Directions for purchase of the masks are there. 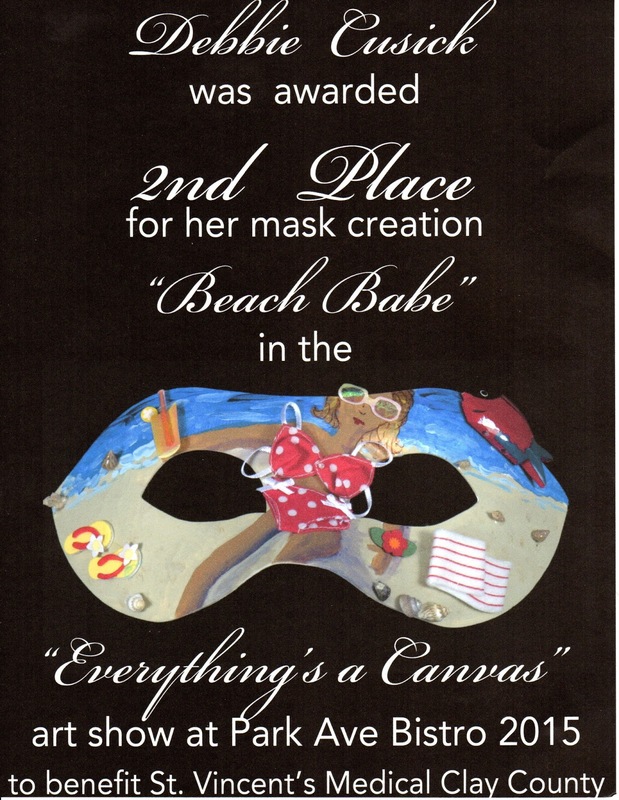 All proceeds from the sales of the masks are tax deductible and will go to benefit St. Vincent's Hospital.